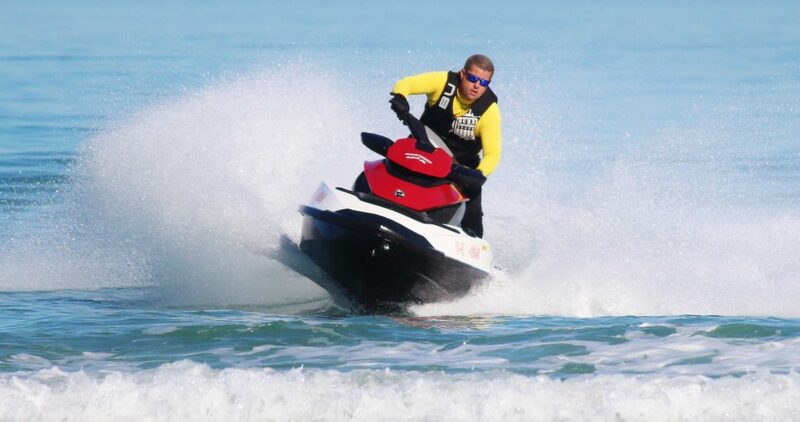 One of the best way to explore the Destin area is by wave runners. You can rent one for an hour, half a day or a whole day. They have vehicles for singles, or multiple riders. Hop on one an buzz around the harbor, go out to Crab Island or venture out into other areas of the bay. You’re bound to come across dolphins as you cover lots of area rather quickly. Stash a football or a frisbee in the storage compartment and you’ll have instant entertainment when you stop at a sand bar or tie up to a boat. 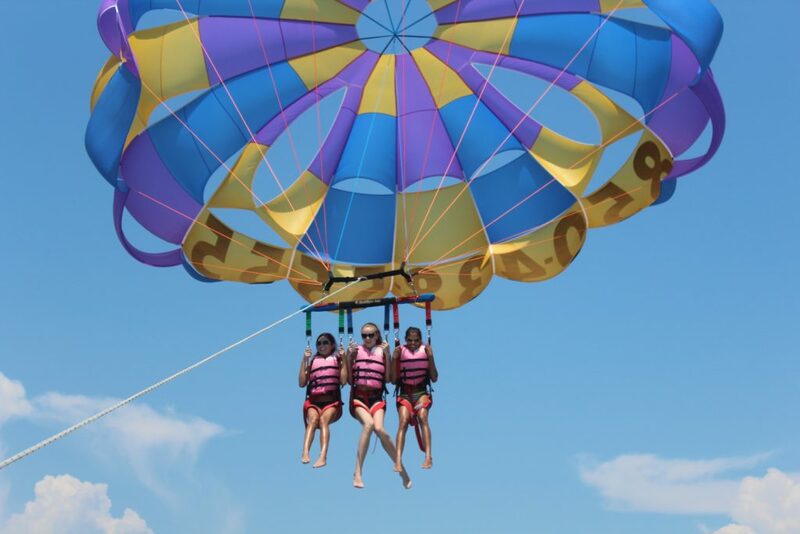 Parasailing gives you a bird’s eye view of the Emerald Coast. It’s such a fun way to see the area with a new perspective. A little hesitation is understandable, but once you’ve tried Parasailing, you’ll love it! Going with a friend makes it more enjoyable, and you will have lasting memories. The ride itself it surprisingly serene. You can hold a conversation with your flying partner with ease. Leave your valuables down below, and be prepared to get wet, since your driver will likely dip you on purpose as you descend! If you have group that wants to head to Crab Island or investigate the harbor, a pontoon rental is the way to go. All of the rental places in the harbor have pontoons you can rent for the day or half of a day. Whoever is going to be driving the boat will have short lesson on basic operating procedures and rules of the bay, and then you’ll be on your way. Pack your lunch, towels, frisbees, footballs, tubes and whatever else you can carry to make your trip entertaining. 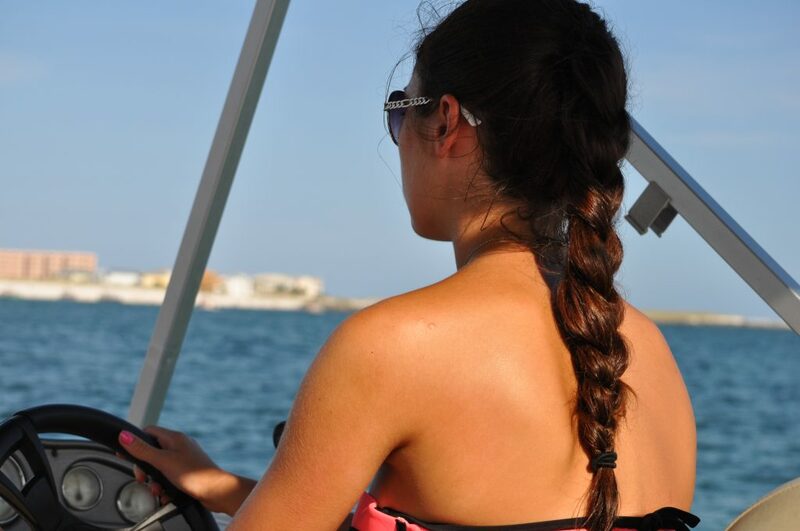 There’s an anchor on board, so you can get out and enjoy the action. There’s always something to do. Crab Island can be busy during peak season, but it’s lots of fun if you pack your patience. They usually have inflatable volleyball courts set up, as well as other inflatables for lots of fun memories. If you explore the inlets of the harbor, you’ll be in for a treat. The homes and yachts are and incredible site to see.